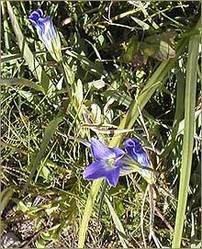 Habitat : Found in the temperate himalayas at altitudes of 1,200-3,000 m. from kashmir to bhutan and in the khasi hills in meghalaya at 1,200-1,500 m.
Uses : According to Ayurveda, this herb is a bitter tonic, stomachic. It is useful in liver disorders, eyes, heart. A strongly bitter tonic it is an excellent remedy for a weak stomach, especially when this gives rise to nausea, indigestion and bloating and it has also been shown to protect the liver. It is best known as the main ingredient in Mahasudarshana churna, a remedy containing more than 50 herbs. It also contains xanthones which are reputedly effective against malaria and tuberculosis, and also amarogentin, a glycoside that may protect the liver against carbon tetrachloride poisoning. The whole plant is an excellent drug for intermittent fevers, skin diseases intestinal worms, bronchial asthma, burning of the body, regulating the bowels. The root of the plant is useful in checking hiccups and vomiting. It is used in the liquor industry as a bitter ingredient.